Architects have been hired to draw plans for possible retrofit of old hospital. 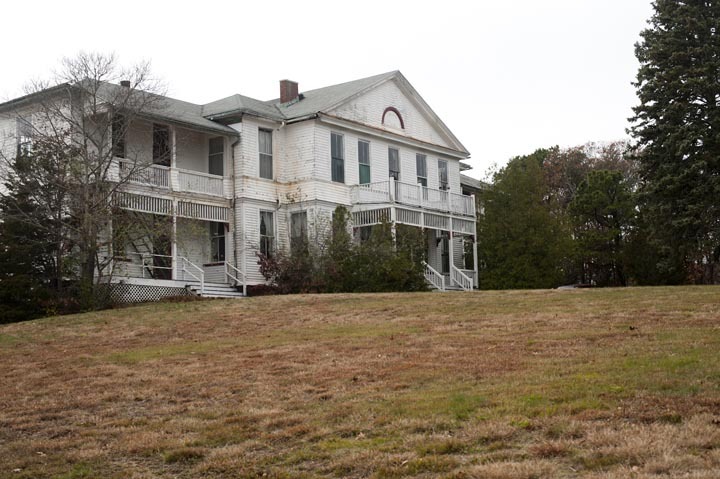 The Martha’s Vineyard Museum has taken an option on the former Marine Hospital in Vineyard Haven, giving the museum’s board until the end of January to decide whether the historic property perched on a hilltop above the harbor could serve as the new home for the Island’s historical collections. The marine hospital went on the market in April with an asking price of $3.19 million. Museum executive director David Nathans confirmed yesterday that a private individual has funded not only the option that takes the marine hospital off the market, but also the engagement of a design team to study the options for restoring and adding to buildings on the Tisbury site. Owned by the St. Pierre family, the property has housed a summer camp since the late 1950s. “An individual suggested that they’d be very supportive, in a financial way, if we thought that . . . the buildings and the property could be used for a museum. A number of us quickly looked at it . . . Enough of us were excited that the board approved a planning committee,” Mr. Nathans said. The Vineyard design and building firm South Mountain Company and the Boston architectural firm of Oudens-Ello, also engaged for the proposed expansion of the West Tisbury Public Library, were selected to do a formal feasibility study. Some 40 firms across the country, most with significant museum experience, responded to the initial request for proposals, Mr. Nathans said; six were interviewed in a fast-tracked process. “We’ve got to make really careful, conscious decisions . . . quickly,” Mr. Nathans said. He and others have been meeting several times a week, examining details down to the level of where driveways and parking lots would be located, how many parking spots would be required, how the current buildings could be used and what museum functions would need to be housed in new buildings. Cramped in the Edgartown campus that has been its headquarters for 70 years, even after acquiring adjoining property as recently as 1989, the museum in 2002 purchased 10 acres in West Tisbury and unveiled a $25 million to $35 million building plan for the up-Island site in 2006. But that plan was put on hold last year after the capital campaign foundered amid the recession. The museum board since then also considered and rejected the idea of relocating to the nearby old Edgartown School. Based on very preliminary estimates, Mr. Nathans said relocating the museum to the marine hospital site could cost anywhere between $12 million and $20 million. “Those who understand the challenges we have in preserving and presenting these great collections immediately understand what can’t be done on the current campus,” Mr. Nathans said. “If we could build three stories up or down, it might be possible, but that is not going to happen in Edgartown, not with the water table and not in a residential neighborhood. “And what we need is not something we could do with one acre of land,” which is what they have in Edgartown, he added. Even the four-acre Vineyard Haven parcel is challenging because of the existing buildings and parking and neighbors, he said. “We have to think seriously about the existing buildings and parking and neighbors. “If we were to do this, we want to be the best neighbor. That’s important, right from the get-go, when we think about where to park, where the road goes, if there are lights on at night, how does that interrupt people’s day-to-day lives?” said Mr. Nathans, the director since August 2009. He wants to open communications with the community, including meetings with planning and zoning boards, the Martha’s Vineyard Commission and abutters. “We want to be able to hear their concerns and share with them some of our objectives, reassure them we are going to be good and careful neighbors. We think we know what that is, but we want to hear from them. But in some ways the site is problematic. 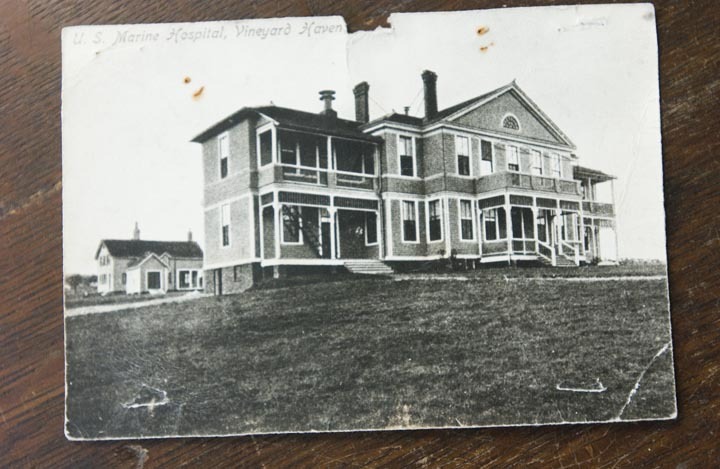 Built in 1895, the hospital treated soldiers and sailors and their families in peacetime, World War I and World War II. The main building is over 10,000 square feet with 29 rooms; in the early 1900s the 30-bed hospital was considered state of the art for its day, the Gazette reported. Offices, meeting rooms, a library and reading rooms are some functions that could be adapted for the marine hospital’s existing spaces. Other functions can’t be adapted. “So we’re trying to figure it out on the site, how [current and proposed structures] relate to each other, and do the economics make sense. “It can cost you more to restore an old building and make it usable for a new function than tearing it down and building one from scratch,” Mr. Nathans said. “But the nice thing about Oudens-Ello is, they’ve had a lot of experience on historic preservation and adaptive reuse, bringing old buildings into modern museum standards . . . so we’re getting a lot of leverage out of their experience.” The location is another consideration. “It is near a place where virtually everyone is going on and off this Island, whether they are year-rounders, seasonal residents or tourists . . . it’s four-tenths of a mile from where you walk off the ferry,” Mr. Nathans said. Parking could be an improvement on its central Edgartown location, where many patrons complain of the congestion. He said that surprisingly, “Some of biggest proponents [of exploring the use of the marine hospital site] were up-Island people who were very strong proponents of the West Tisbury acquisition. “Vineyard Haven tends to be the most active community year-round, and we’re now a year-round institution,” Mr. Nathans said. 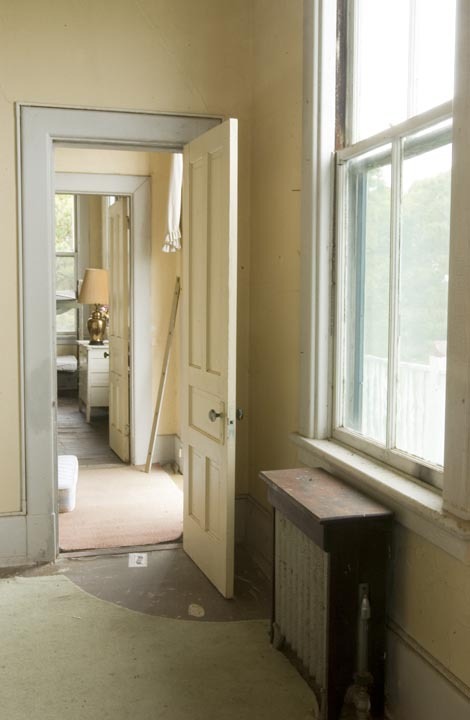 Should the museum decide to relocate to the marine hospital site, Mr. Nathans expects it would eventually sell the West Tisbury property as well as most of the Edgartown property, with the exception of the original Thomas Cooke House. The proceeds would not be used to cover building expenses at the new site, ideally, but go rather to an endowment for the expanded operations there, he said. The museum director is keen to hear whether Islanders will support the proposal. The initial patron, though generous, would provide a relatively small down payment on a much larger project. “But a couple of other individuals and entities have expressed enough enthusiasm to lead us to believe we could make significant headway. But it’s not just the six and seven-figure checks, it’s the people who will send in $10 too,” he said. One enthusiast seems to be Barbara St. Pierre, current owner of the marine hospital site. “She’s very excited that we’re interested, “ Mr. Nathans said. Meanwhile, he said, the museum was moving ahead with the feasibility study, answering questions, “and starting to see some really exciting possibilities. “I guess it’s like unwrapping a present, one of those big boxes where you keep finding another inside and another. Each box we’re unwrapping is more exciting,” he said.